An historic and disused Elgin cottage has been transformed into a modern shop, thanks to one bathroom company. 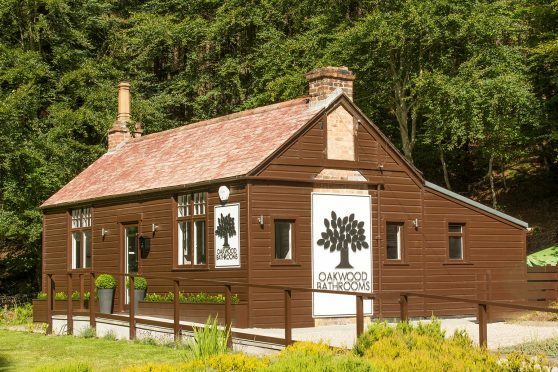 Oakwood Bathrooms was established by Craig Horne, who has over 20 years in the industry, most recently working with Hutchesons of Portsoy, a company he credits for inspiring him to set out on his own. Craig explained: “The decision to create a bathroom shop from the cottage came about from chatting with Elaine Sutherland of Riverside Kitchens – who owns the property – who advised the building was vacant and it would be good to see it put to use. “The idea had been in my head for a couple of years, during which time I was employed by Hutchesons of Portsoy and had been given the task of setting up their new kitchen and bathroom showroom, and coordinating installations for their clients. “This worked very well and saw that side of their business revitalised and busy. It was a very enjoyable time for me, working with this fine family business and I feel that – inadvertently – they gave me the confidence to start up on my own. The Oakwood Bathrooms building sits on the site of the Oakwood Motel – which opened in the 1930s and was one of the first motels in the UK – and the cottage was the motel owners’ home. Because it had been unused for many years, Craig had his work cut out for him. He explained: “The cottage was in a very poor state of repair and had no electricity or water connected. The roof to the back of the building had to be replaced entirely, as well as the floor timbers, after suffering years of water ingress through the roof. 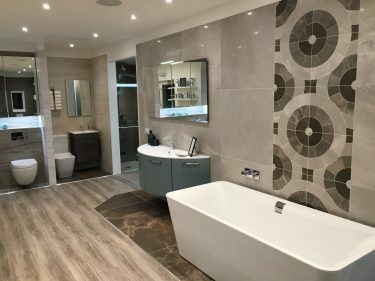 However, Craig put his experience working with small bathroom spaces to good use, creating a “Tardis-like” layout that gives the building a real boutique feel, which was a hit with manufacturers. 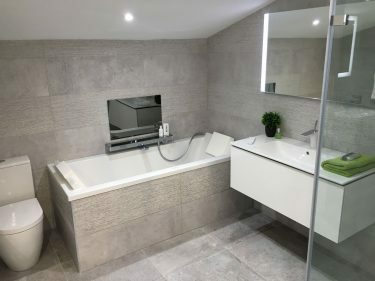 “I approached German manufacturers Villeroy and Boch and Duravit, both established market leaders in the bathroom industry and known globally for their innovative products and design partnerships. Oakwood Bathrooms offers products on a supply only basis, as well as supply and installation. They have an innovative drawing package that allows clients to view their plans in 3D using a phone app. For more information, visit the Oakwood Bathrooms website.